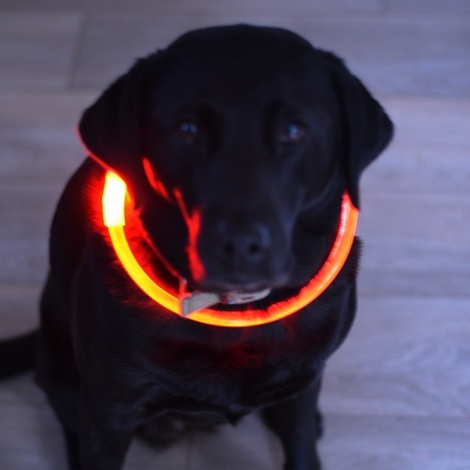 Flashy Fido is the latest innovation in Light Safety Collars for dogs. 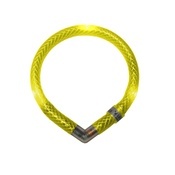 Due to the unique use of Internal Light Refraction it allows the collar to be evenly lit. 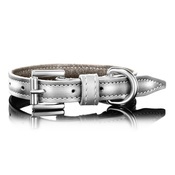 This same science allows the collar to be designed in a slim and attractive style. 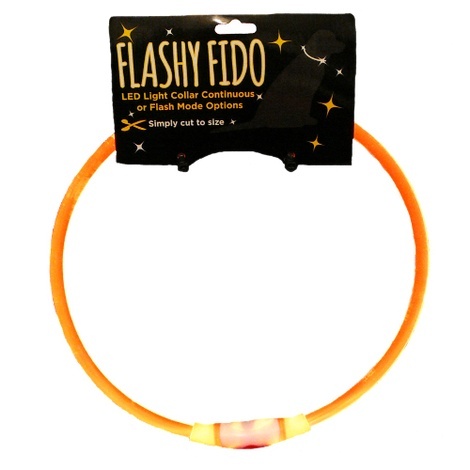 Flashy Fido comes with three different functions, two flashing modes and one constant. 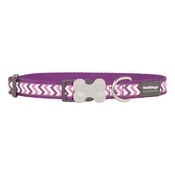 This collar is a great way to enhance your dogs visability at night or just wanting to make your dog 'flashy!' Not sure what size? 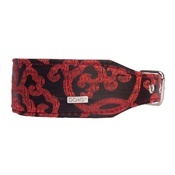 Flashy Fido comes in one length and it is simply cut to suit your dogs neck size. 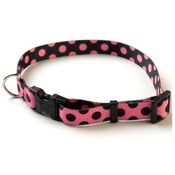 Pop over the dogs head or it has a 'pull off' function. Visable up to 500 metres. 100 hours in flash modes or approx. 50 hours in constant mode. Splash proof and dirt resistant. Keep away from children; contains small parts. Spare batteries and LED set available..